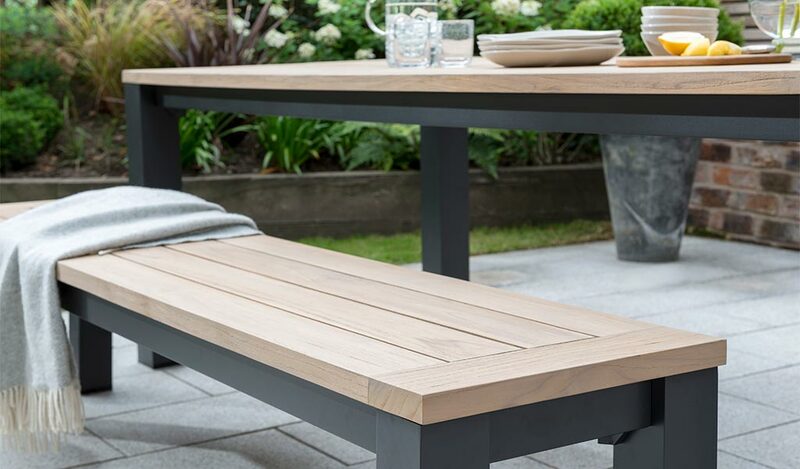 The Elba Dining garden furniture collection blends materials to create a unique look for modern gardens. 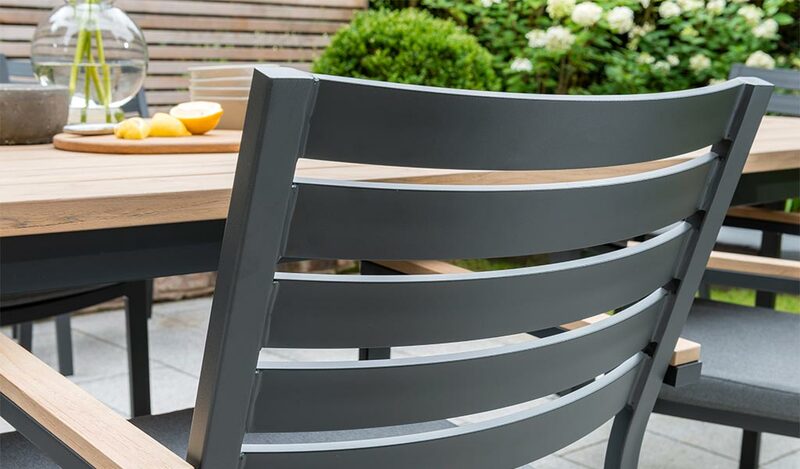 Mix and match the Elba dining chair, garden table and garden bench to create your dream garden dining set. 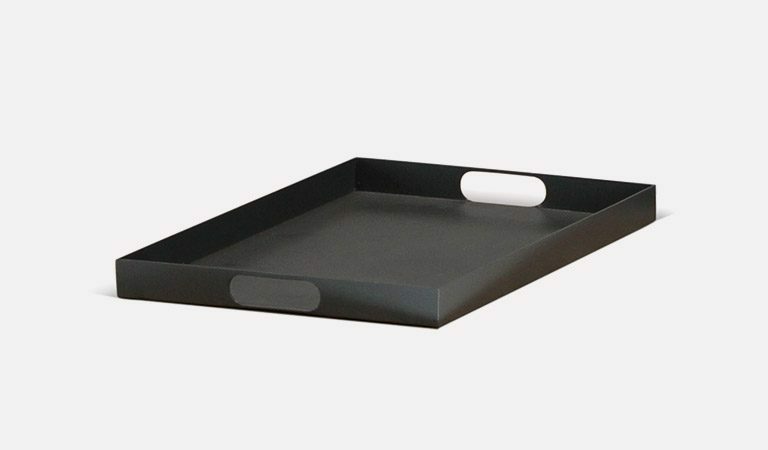 The aluminium frame is weatherproof and lightweight. 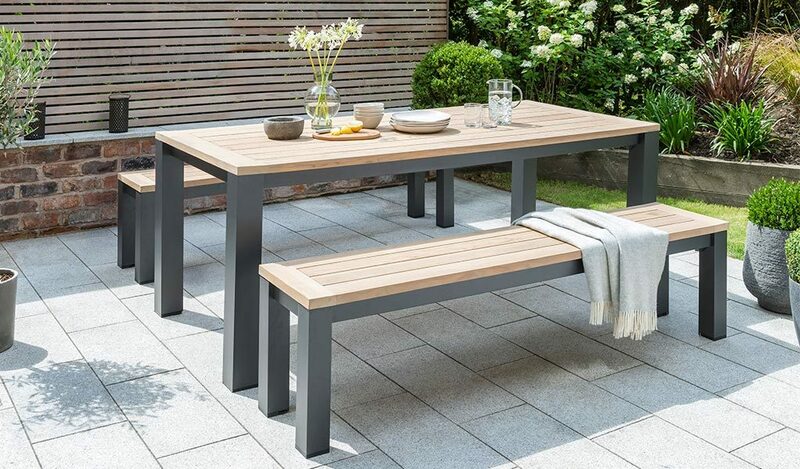 Sit on the weathered teak bench top and serve an alfresco meal on the matching table top. 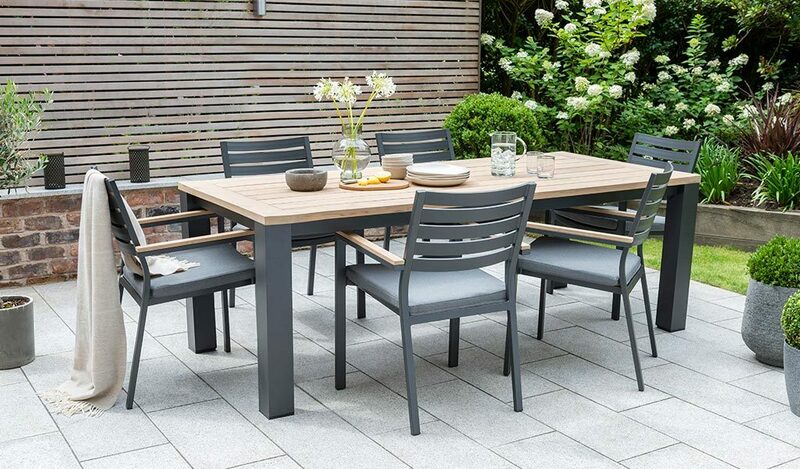 Mix and match the Elba dining collection to create a contemporary outdoor dining set for family and friends. 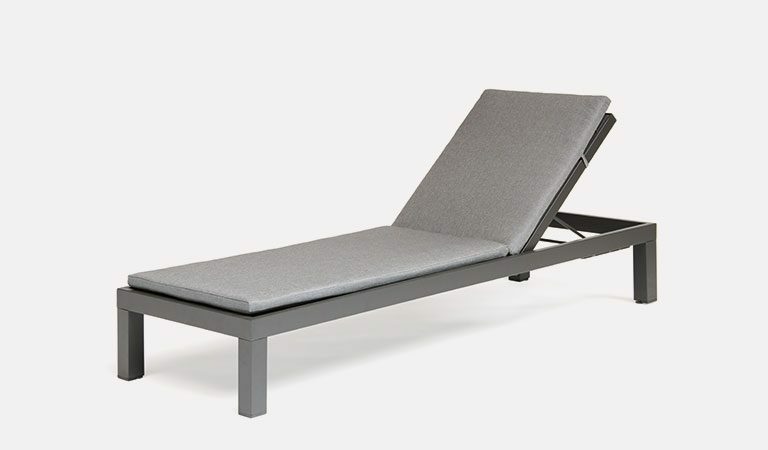 The Elba Dining collection includes modern patio furniture made for comfort as well as style. Seat up to 8 outdoors and enjoy an alfresco meal. 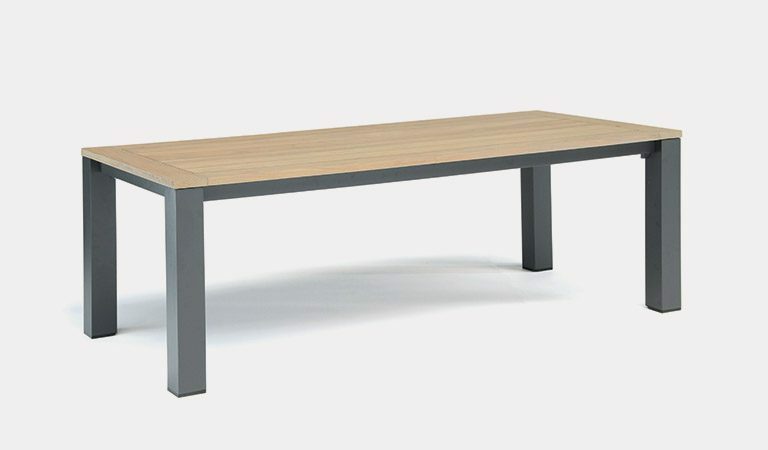 The teak wood table top includes a weathered, instant grey coating. 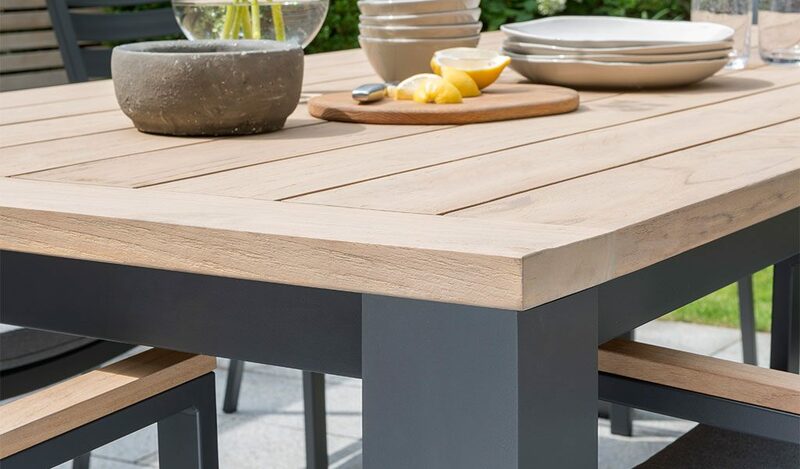 The slat top style gives the table a modern rustic design. 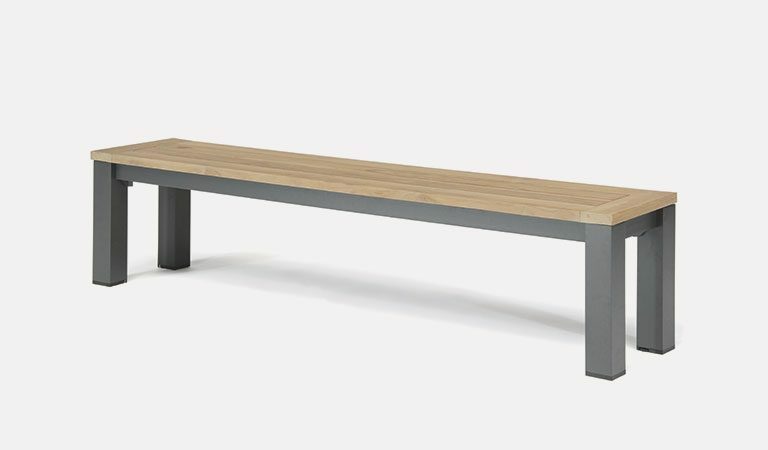 The garden bench seat has a matching style with the same hardwood material. The Elba dining chairs also include the teak wood in the armrests to keep the dining set matching. 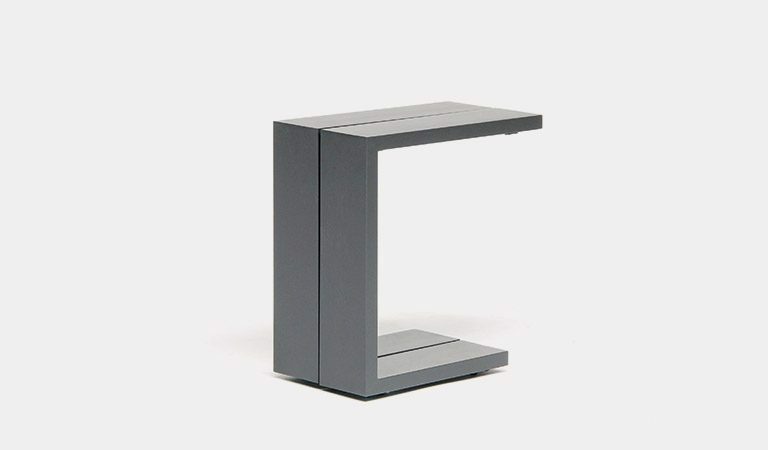 The aluminium frame is rustproof and weatherproof. The charcoal colour compliments the wood on the table top. 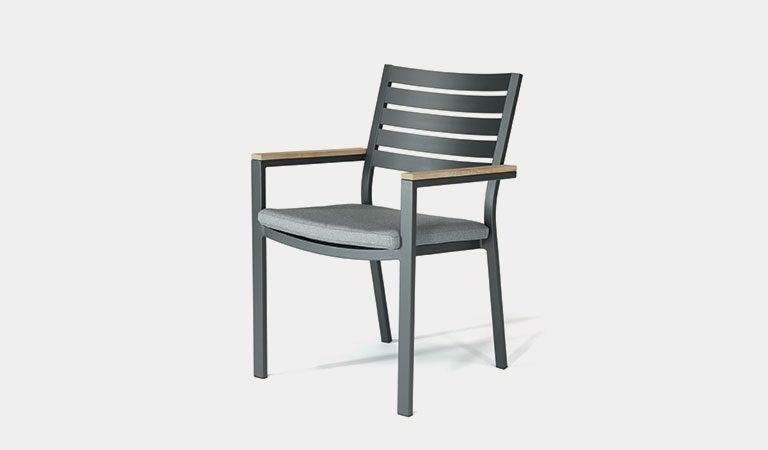 The Elba dining seat comes with a shower resistant cushion. 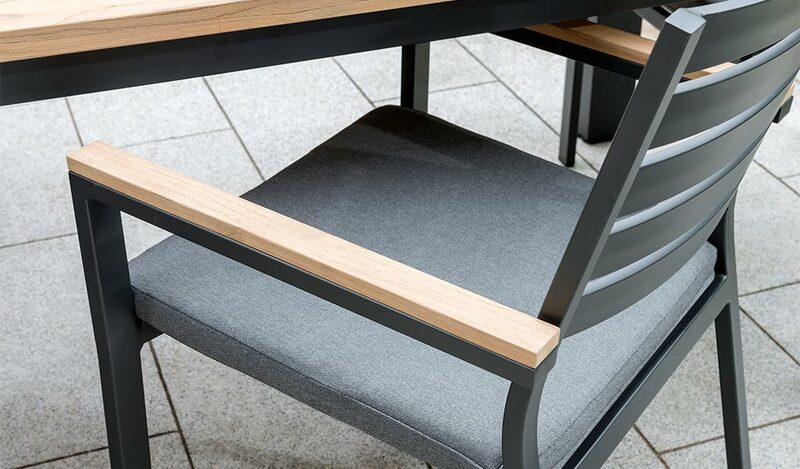 Combine the 8 chairs with the table, use two benches or mix the benches with the dining chairs and dine with family and friends outdoors. Material: aluminium frame and teak wood. Stain resistant cushions with shower resistance - we advise taking cushions indoors when not in use. Mix and match the Elba Dining Chair, Elba Dining Table and Elba Bench. Elba High Dining & Elba Corner Set also available.